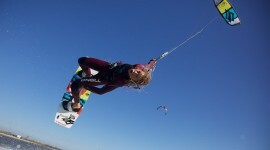 I am well stoked to be the official videographer and photographer for the British Kitesurf Association events this year. I have done a few events already this year with my company, Blue Juice, including Watergate Bay & Redcar and I am looking forward to following the tour around the UK and capturing the action as the competition unfolds. You can find out more information about the BKSA here. This entry was posted on Sunday, June 20th, 2010 at 6:49 pm	and is filed under Film Work, Photography and tagged with BKSA. You can follow any responses to this entry through the RSS 2.0 feed.